If the latest Republican bill to repeal Obamacare passes, 21 million fewer people will have insurance by 2026, according to a new analysis Friday. The bill, known as Graham-Cassidy, would eliminate Obamacare’s requirement that individuals buy insurance, end its expansion of Medicaid, and require every state to build their own health care system using a new federal block grant. It would also put new caps on Medicaid spending, which are expected to grow at a slower rate than under current law. Graham-Cassidy’s block grants expire in 2027. If Congress doesn’t act to replace them, the number of additional uninsured versus under current law would rise to 32 million that year, according to the non-partisan Brookings Institution. The estimate is in line with nonpartisan studies of prior Republican proposals on health care. A bill the Senate considered over the summer would have covered 22 million fewer people than current law, according to the Congressional Budget Office, the government agency that analyzes legislation. The authors of the Brookings study cautioned that the effects of the bill were difficult to predict given the many paths individual states could take, but they looked a variety of scenarios based on how much block grant funding states devoted to coverage and on how many states maintained Obamacare’s protections for patients with pre-existing conditions, which states could weaken under the bill. At the same time, the report said that its conclusion "likely understates the reductions in insurance coverage," because it doesn’t consider potential turmoil if states can’t enact a functional health care system by 2020, when they would transition from Obamacare to the new block grants. Experts have also warned that the bill could cause premium spikes and instability as insurers struggle to manage the shift from Obamacare's exchanges, which are already in fragile shape. Some areas could be left without any insurers on the individual market. The Brookings analysis contradicts boasts by the bill’s lead sponsor, Sen. Bill Cassidy, R-La., that his legislation would expand coverage. 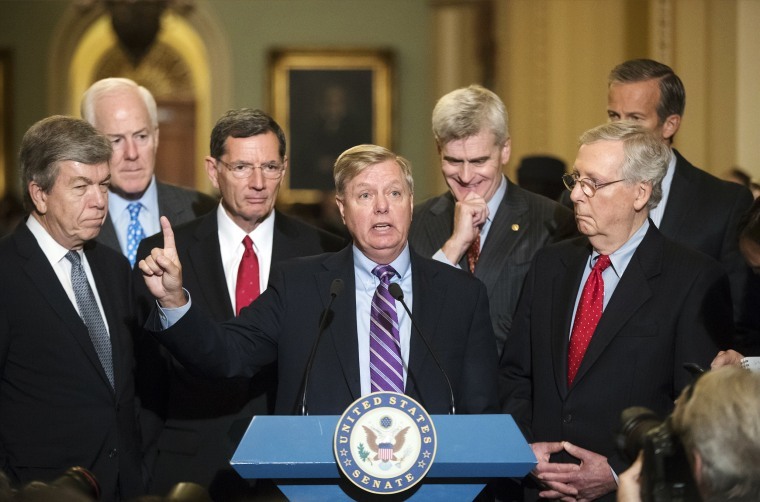 Policy experts have said Cassidy’s claim is doubtful: Several other think tanks and industry analysts, including Avalere Health and the Kaiser Family Foundation, have put out reports predicting the legislation would cut health care funding to states by significant amounts, making it difficult for them to maintain existing coverage. Industry groups like the American Medical Association and the American Hospital Association, along with a variety of patient advocacy organizations, are opposing the bill while warning of major coverage losses. The Brookings study’s findings are especially relevant in the case of Graham-Cassidy, because Senate Republicans plan to pass the bill before the CBO has time to complete a full review of the new legislation. They need to vote by September 30 or they will lose their ability to pass the bill with a bare majority using budget reconciliation, a procedure that allows them avoid a Democratic filibuster.